This is easy to use and it has more capabilities then you could imagine. If you can't make a hit using logic you maybe shouldn't be producing. Music is very easy to make with Logic! hello people whats the best plugins for rap vocals ? any suggestions. i been using logic pro x for a whle and i really love it and have stick to it but i be getting really annoyed because im a trap producer and i hate how hard is to get 808 slides ,after all this year and yall still havent develop a good synth that can make good slideds and that doesnt ruin the quality of the sample,the exs24 is good but is just to complecated you plus it ruins the sound quality of the sample on the other hand we got alchemy which i think is better because it easier to use and to load samples but still slides are weak but i got more hopes from alchemy thanthe exs24 , i really hope you guys do something about this ,thanks. I make cutom drum kicks, save them, then somhow it changes the instuments and plugins on its own. Completly rediculous. I comstantly waist time because it doesn't funtion properly. It will turn on "smart tempo," in the middle of a recording completely ruining it without me or the artist knowing until the recording is supposed to be done. DO NOT WAIST YOUR MONEY! It constantly lags and screws me over. I use a 2017 Imac. Its not a hardware issue, simply over rated garbage software. P.s. the service team is a trash as the program... classsic apple. Excellent...but, no audio to MIDI? No audio to MIDI conversion that I am aware of. 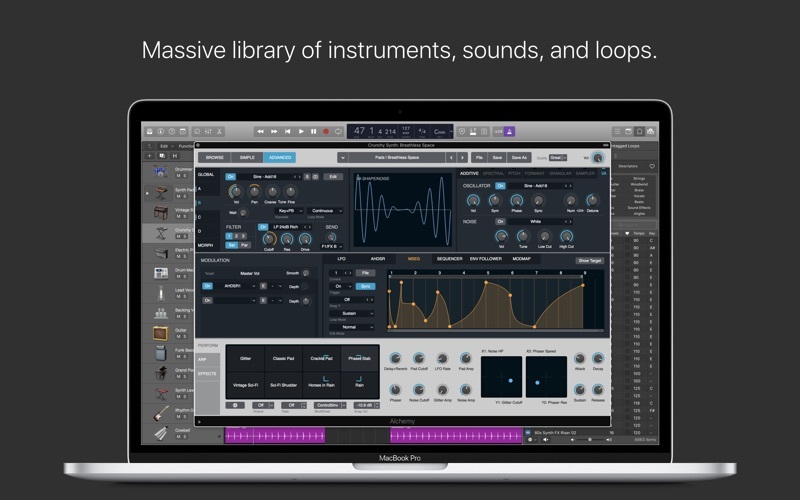 Other DAW's have it...why not Logic X? Not sure what the heck happend, but there is a marked performance in audio quality with this update...it's degraded on all of my iMacs and Macbook Pro. For some reason, when recording guitar with distortion, there are audible pops and clicks when playing with palm mutes and other fast playing techniques. I've tried to resolve this issue by adjusting latency, i/o buffer, opening LPX in low resolution, running it on different computers, different audio interfaces, a multitiude of guitars, different instrument cables and various inputs providing the distortion signal in the chain. I've tried everything and this is so incredibly frustrating. When re-recording a song I had written in the 10.2.4 version, the audio is crisp and clear, but since then it is clipping and popping every single time I play the same song. This is beyond frustrating and I can no longer use LPX in my studio because of this issue. Really hope they fix it so I will consider using it and recommending it to our artists. But this is just completely unusable junk. So disappointed. okay, so first of all, i hate it. idk how to make beats. i wanna sound like scrillex but i can’t. other than that the piano sounds cool. Everywhere you look, pro engineers line their repertoire with Pro Tools, Reason, Abelton, all this long lit of pro software DAW's, with Logic included in that bundle. Everywhere you look for DAW's though, none match up to what Logic brings to the table. Sure all have stock plugins, but few offer the ability to be able to fully record, and fully mix a song with using soley stock plugins. 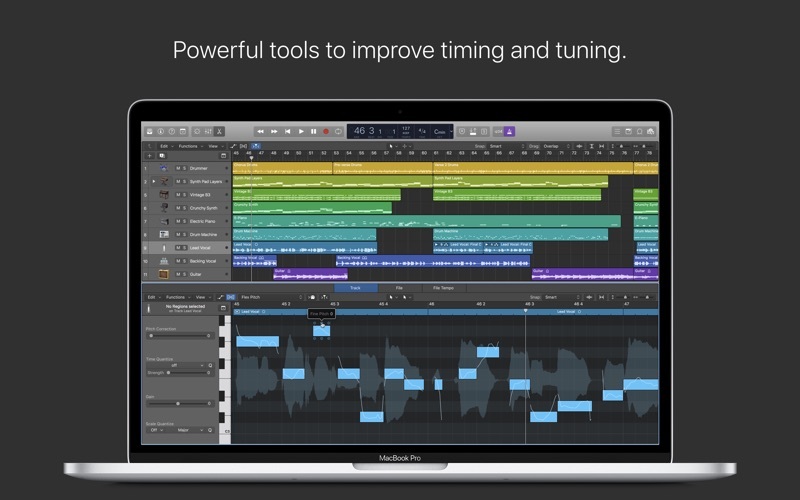 Pro Tools is great for mixing by enhancing work flow, but you can accomplish the same in Logic, not as efficiently, but still reach that end, and get a Master ready song all within a Macbook. I can not stress enough the immense, profound, amazing, (insert all positive adjectives here) how great this software is. 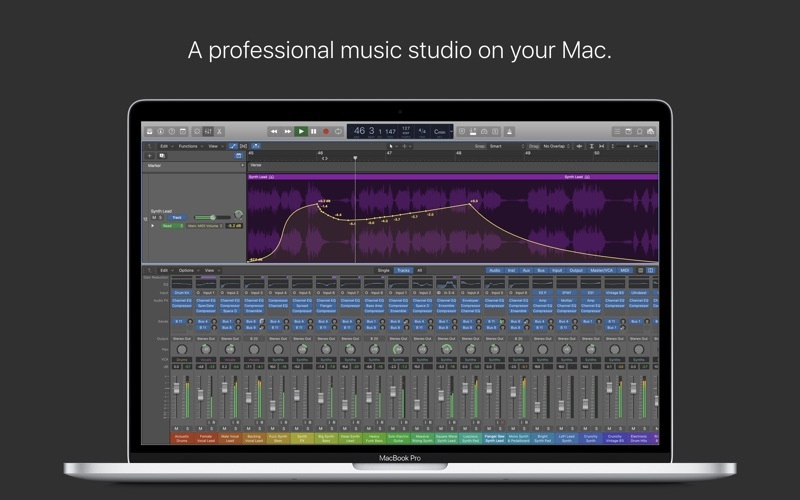 For $300 you get a full recording, production, and editing suite right at your finger tips. It's easy to learn, and as long as you have an ear, you can really learn how to become a superb bedroom studio workhorse before you know it. THIS ALL TAKES PRCTICE, Youtube offers great tutorials on how to work with different pieces of music, utilize it, and before you know you've bought the biggest steal that has come to any laptop for Music endevours. This application is fantastic. One, because it is budget friendly at $200. It’s flexibility is great. 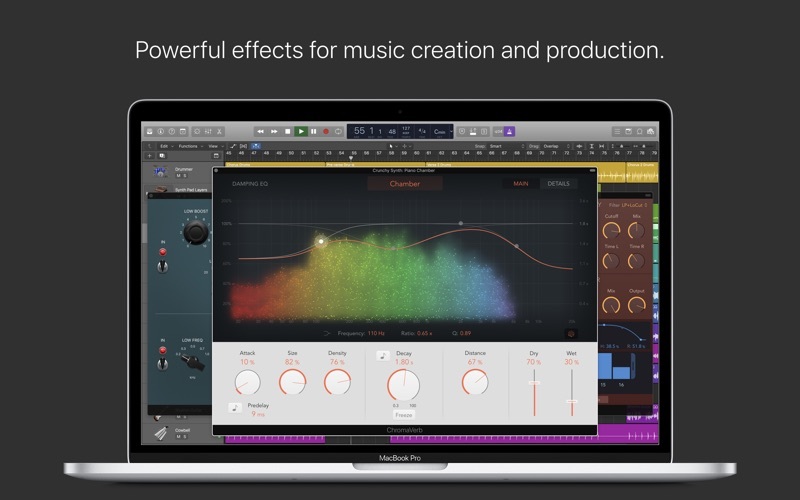 Personally, you can make at least one album in this software with just stock components. 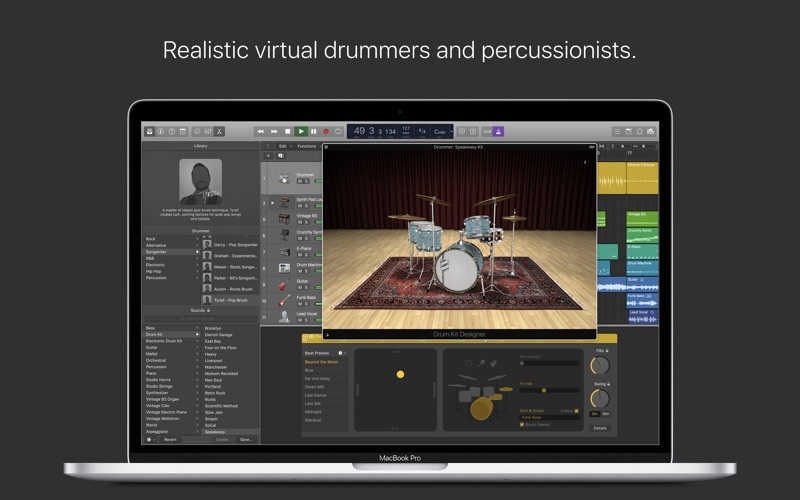 It is also very familiar if/when you switch from Garage Band.